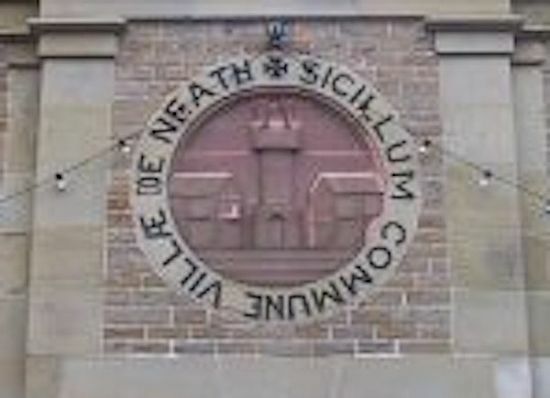 Neath General Market is situated in Green Street - the heart of the Roman town of Neath. It is one of the few markets of its kind left in Wales. The Victorian indoor market is housed in a building that dates back to 1837, the year that Queen Victoria began her reign, when it is said that the construction cost £1,650. It was renovated in 1904 for a figure of around £7,500 and again in 1999 when a new roof improved the structure along with work on on the frontage to mark the Millennium. Books and pictures attract the eye of collectors and Welsh craft is a prominent feature to remind the visitor of the heritage of not only the ancient borough town but the Principality of Wales. Newagents, hairdressers, toy stalls, confectionery and cakes stalls, curtains and rugs, watches. jewellery, key cutting and a fine selection of greeting cards are just a few of the many things available at what could be called Neath's original shopping centre. Butchers provide fresh meat and at Christmas time it is a treat to see the prepared turkeys tempting visitors as they did in Victorian times. Many of the businesses in the market have been handed down from generation to generation and many parents take their children to toy stalls where they themselves had toys when they were young. It is the unique atmosphere that makes the Neath Market a special place to visit as seasons change throughout the year, with many bargains you must see to appreciate. This is an independent website constructed to benefit Neath Market traders and the public they serve. It aims to promote the various business by highlighting the services offered. It should be noted that the NPT council is responsible for Market administration and details are given on the MARKET ADMIN page. The council's website gives a comprehensive look at the market - this website intends to compliment it with more detailed information that may be of interest to the public. We proudly highlight and promote the council's website and provide links for further viewing. The links make quicker and easier access to pages of special interest. Providing links to other websites, as we do, is now a well recognised feature of the world wide web and makes viewing more interesting. It should be noted, however, that the NPT Council are in no way responsible for the content of this website or any advertisements displayed by the hosting service. All information is published in good faith and no responsiblity is accepted for any errors that may occur from time to time. Every effort will be made to correct errors once they are brought to the attention of the editorial team. Privacy Note If anyone objects to being included in a photograph, just let us know so that we can delete it and replace it with another.